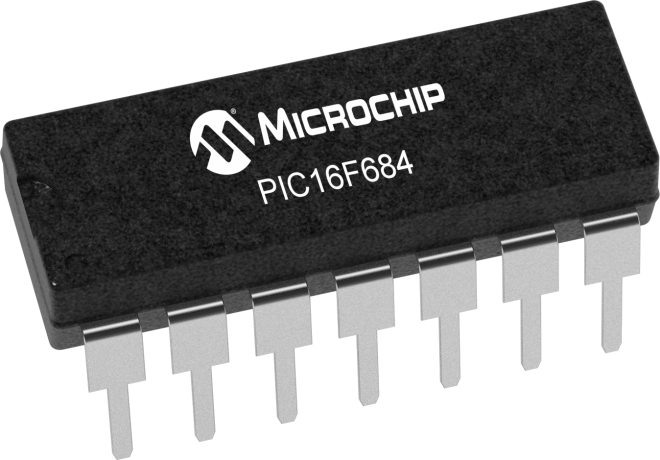 The Low Pin-count (14) PIC® Flash microcontroller products offer all of the advantages of the well recognized mid-range x14 architecture with standardized features including a wide operating voltage of 2.0-5.5 volts, on-board EEPROM Data Memory, and nanoWatt Technology. Standard analog peripherals include up to 8 channels of 10-bit A/D, an analog comparator module with two comparators programmable on-chip voltage reference and an Enhanced Capture/Compare/PWM (ECCP). The ECCP peripheral offers up to four outputs with programmable dead band delay and auto-shutdown and restart options.